A free range farmer based in Rotherham has launched his own mobile hog roast catering business following receipt of £500 from the UK Steel Enterprise (UKSE) Kickstart Fund. The Yorkshire Hog Roast Company, which caters for weddings, public events and private parties, was established by Shaun Churm after the funds from UKSE enabled him to purchase essential business items including an eye-catching gazebo, display equipment and a generator. 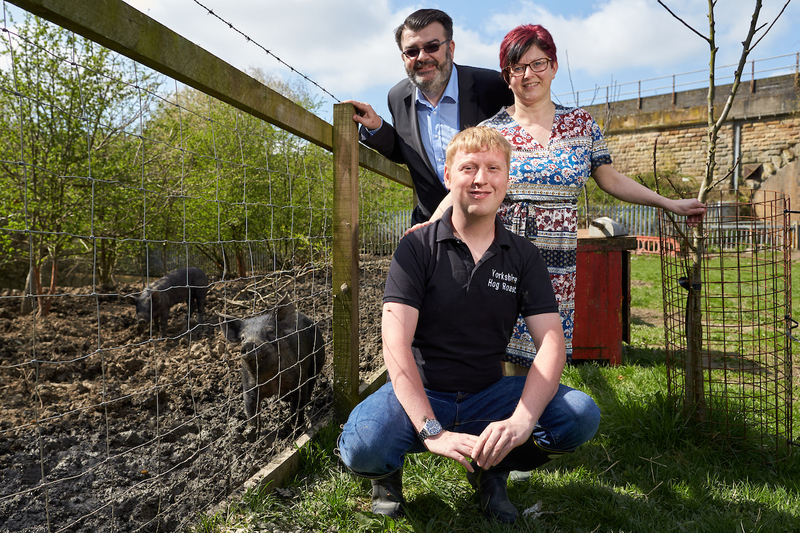 The owner of a free range and rare breed pig farm in Manvers, Shaun also employs a butcher to produce quality sausages and bacon that he commissions to clients looking for locally sourced meat. Plans are already set in motion for Shaun to expand his business – now responsible for the whole farm to fork process – over the coming 12 months. 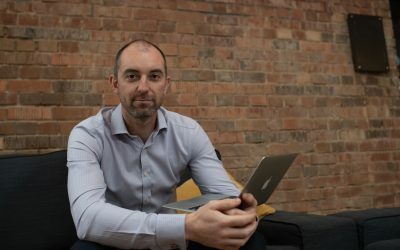 UKSE launched the Kickstart fund – working in partnership with Rotherham Investment & Development Office (RiDO) and the Growth Hub – to support those looking to establish a business in the area. Shaun’s hog roast business is proving so popular amongst loved-up couples looking to celebrate their nuptials with a late night hog roast that the Yorkshire Hog Roast Company has since teamed up with Wortley Hall Hotel to offer its catering services as a feature of all wedding packages at the hotel. Shaun said: “The funding that I have received from UK Steel Enterprise has been a huge help in establishing the business, and I am so pleased that it has been well received by the events market. “The catering options offered at weddings and events are becoming increasingly diverse; the traditional buffet no longer quite cuts it! Hog Roast catering services are becoming very popular – especially as a late night buffet at weddings – and it seemed like a natural progression for me to enter into this market.